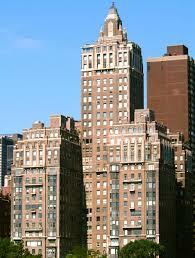 Our readers may be familiar with a cooperative apartment building located in Manhattan by the name of River House. This building is known not only for its distinctive classic architecture and regal location, but also by its stringent admissions standards for purchasers. It has been well known throughout the New York real estate community that the River House has declined the purchase applications of numerous famous people and persons with seemingly substantial assets. This culture has resulted in apartments being listed for sale for years, because potential purchasers cannot get approved by the board. Overly rigorous standards hurt all residents, as apartments will not sell as readily. The New York Times reported that the River House has recently relaxed some of its admissions standards. As we have discussed in a previous blog post , a purchase of a cooperative apartment in New York is subject to the approval of the board of directors. If the board declines the purchase, it will not proceed. Legally, a board can reject a purchaser for any reason, so long as the denial is not for discriminatory reasons. In another blog post , we advise cooperative clients to treat all shareholders equally. The governing case on the matter of decisions by cooperative boards is Levandusky v. One Fifth Avenue Apartment Corp. This case stands for the principle that cooperative boards, like corporations, are governed by the business judgment rule. So long as there is a legitimate purpose to the decision of a cooperative board and such decision is beneficial to the shareholders as a whole, the decision of the board will stand and will not be subject to judicial review. Boards acting in good faith and in the exercise of their honest judgment are insulated from judicial review of their decision. The business judgment rule is limited by arbitrary or malicious acts of board members, favoritism and discrimination. For instance, a board can legally decline a purchaser if it does not like the person, but cannot legally decline the applicant because they want to retaliate against a seller that they do not like, or because the candidate happens to be Hispanic. Of course, proving that the denial was based predominantly upon an illegal reason may be difficult. An important exception to the business judgment rule is discrimination. The actions of a cooperative board are not shielded by the business judgment rule if they are predominantly based upon discrimination against a protected class, such as race, religion, sexual orientation and the like. It should be noted that counties may vary on what they consider a legally protected class, so that if a claim for discrimination is considered, our attorneys will confirm that the aggrieved party is part of a legally protected class in the county in which he intends to purchase. We advise our cooperative clients not to conduct an in-person interview of a candidate who has not met the objective financial standards of the building. If that person also happens to be a member of a protected class, which may not be apparent until an interview is conducted, the cooperative could be vulnerable to a discrimination claim. Cooperative boards can legally decline a purchase application without stating reasons for doing so. In fact, we also advise our cooperative clients not to share their reasons for declining a purchase application, so that they are not subject to a claim. From time to time legislation has been introduced to require cooperatives to disclose their reasons for declining a purchaser, but such legislation has not been enacted. Requiring the disclosure of the reasons for declining a purchase would be helpful to the seller in locating a purchaser who is acceptable to the building. In the meantime, working with a real estate agent who has had successful sales in the building is the best way to locate a buyer who will satisfy the standards of the board. Our firm consults with cooperative boards, real estate agents and with parties to transactions with respect to these issues.